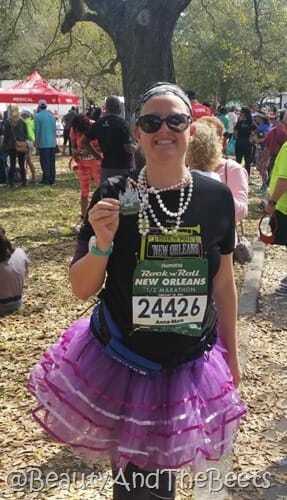 A little over a week ago, I laced up my Asics and took them on a 13.1 mile spin around the city of New Orleans. And then I got a medal. The end. 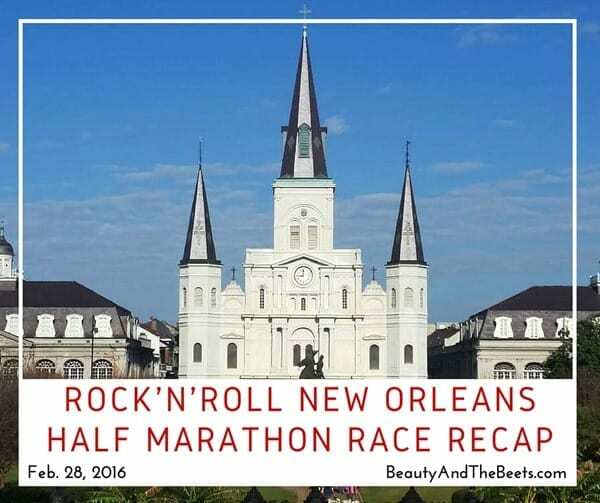 Mr. Beet and I arrived into New Orleans and had barely enough time to check into the hotel before we had to make our way to the health and fitness expo for the Rock’n’Roll New Orleans Marathon weekend. 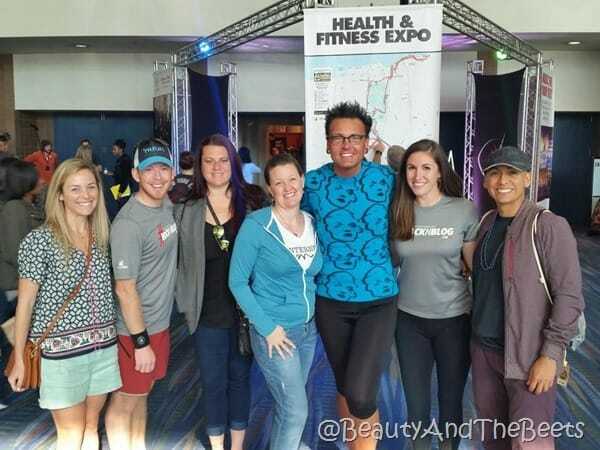 I was meeting up with some of my fellow runners from the Rock’n’Roll Marathon #RocknBlog team. We are a group of 100 runner/bloggers from all around the world who will promote and run in the Rock’n’Roll Marathon series events for 2016. 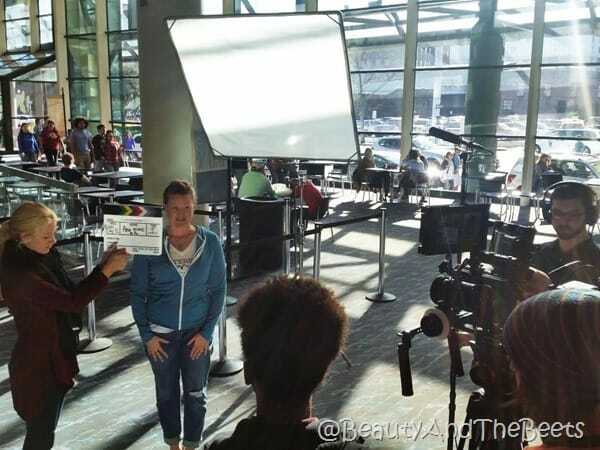 This is my second year making the team and I was excited to meet up with some of my fellow teammates. 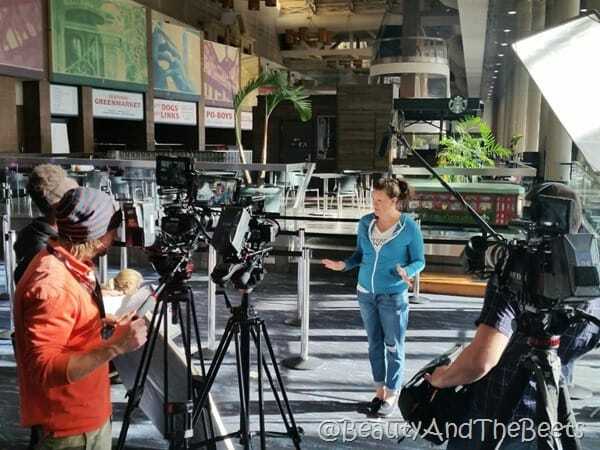 We met outside the expo, had a ton of pictures taken before we were asked to film some interviews for the Rock’n’Roll series. 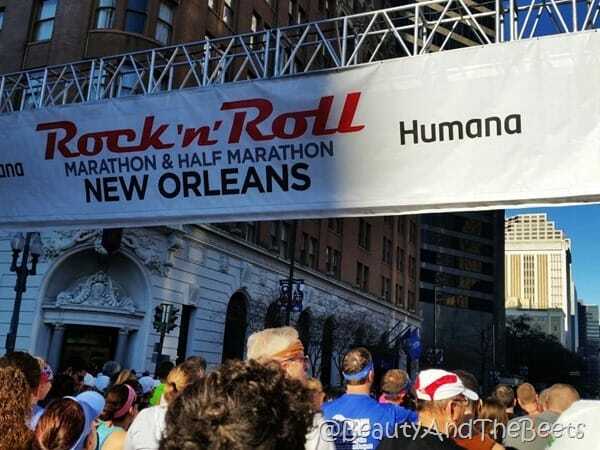 One of the questions I was asked was why I had chosen to run in the New Orleans event. My reply? 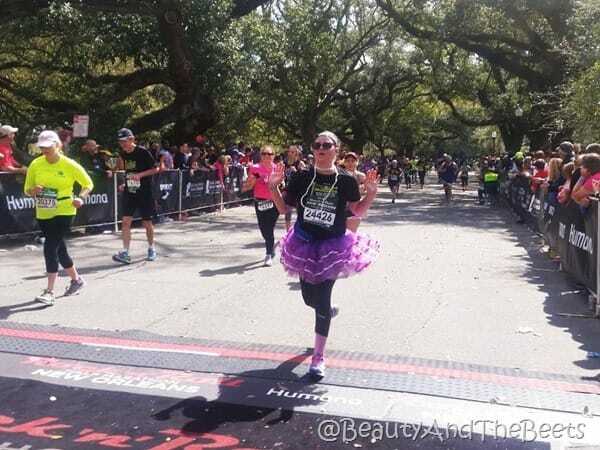 I’ve never been to NOLA and have always wanted to visit and explore the city… so why not make it a 13.1 mile tour? After the expo Mr. Beet and I went over to a restaurant called Carmo where we ate veggie sandwiches and Vegetarian Rico to fuel up for our race the next day. 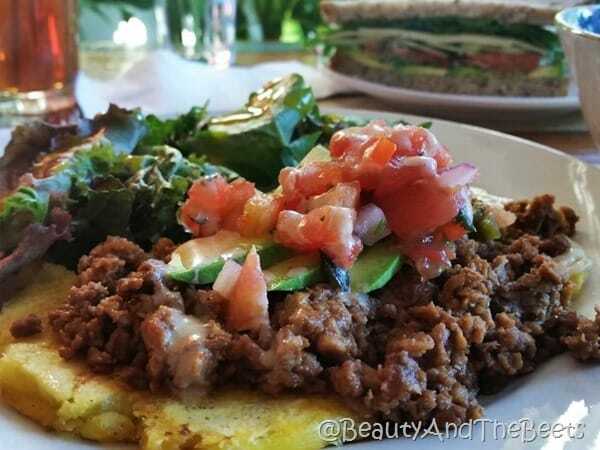 Vegetarian Rico was a mix of vegetables and vegetarian “meat” on a Plantain patty…and it was delicious! 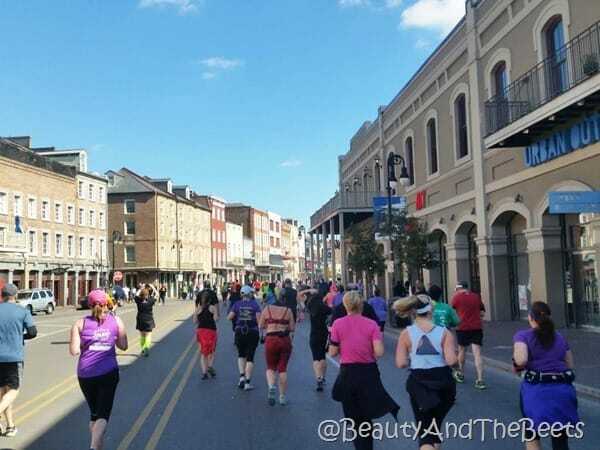 After a good night’s sleep, we were up early, walking through the quiet French Quarter heading towards the starting line of the race. 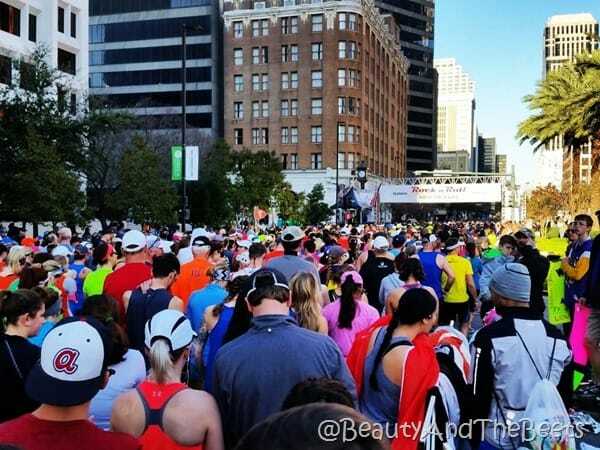 There were over 14,000 runners – all either running the 10K, Half Marathon or the Full Marathon races. We were divided up into corrals based on our expected finish times. It was a good half hour after the first corral was released that I finally got to start my race. 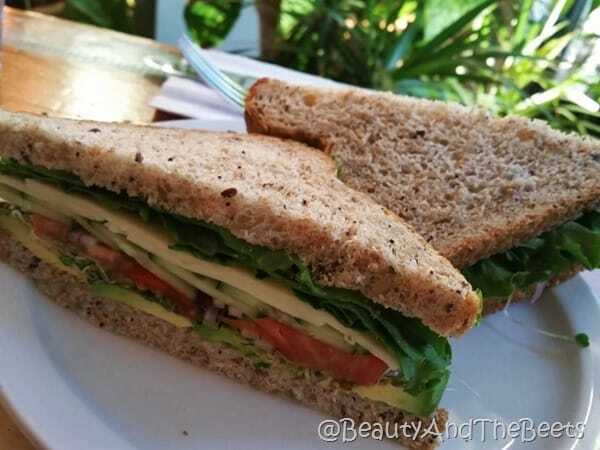 There are several factors that draw me into the Rock’n’Roll series races. One is the size of the events, there are runners and walkers of every pace so there is never a point along the route when you are running alone. Second are all the amazing bands that entertain the runners during the race. And naturally, I got no pictures of said bands. 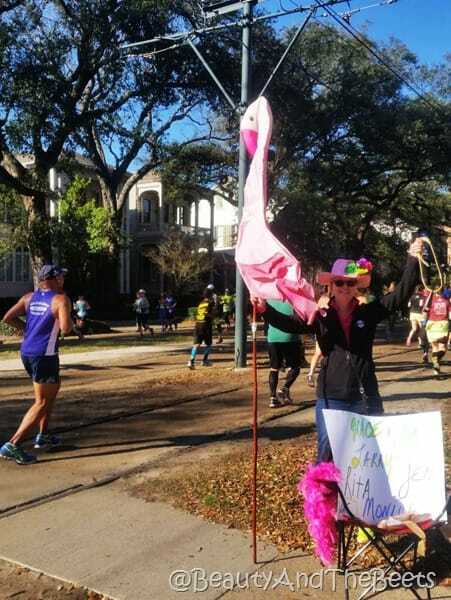 But I can tell you there were blues bands, jazz ensembles, an entourage of bag pipes and rock and roll groups jamming along the course, keeping runners motivated and going. The third thing I love about the Rock’n’Roll races is the support and cheering of spectators. I even saw my name on a sign- and while it was my name, the sign was actually for another Anna, but those people told me I could adopt their sign and pretend it was mine. 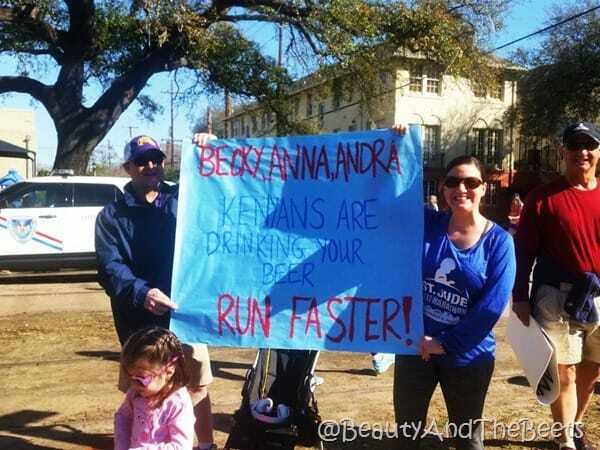 I think the spectators love the race as much as the runners do. 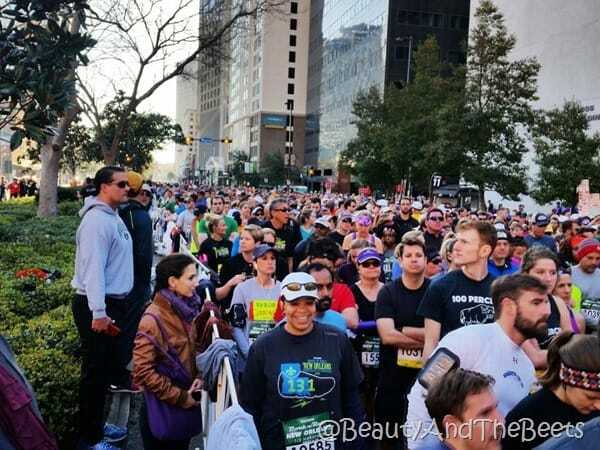 I even heard there were some people along the route passing out king cake to the runners, though I never saw any cake. The fourth thing I love about these events is the scenery. 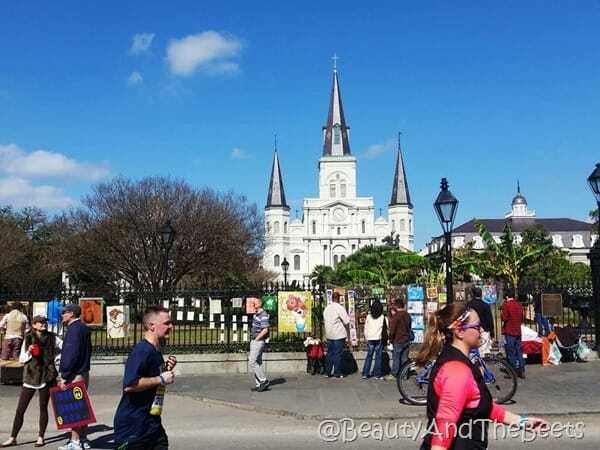 We ran past through the Garden District and headed toward the French Quarter past the famous St. Louis Cathedral in Jackson Square. 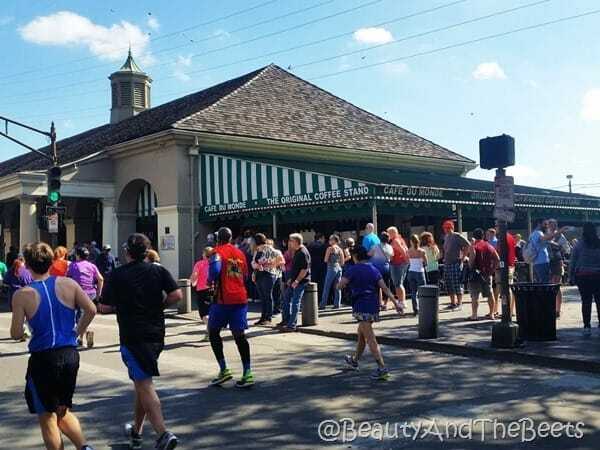 And past Café du Monde where a lively crowd cheered us on while eating their beignets. A local told me about the take out window, and I was soooo tempted to stop and grab a beignet for the road. Alas, I restrained and kept on with the race. I loved seeing all the beads everywhere as the Mardi Gras celebration was in full swing only a few weeks ago. 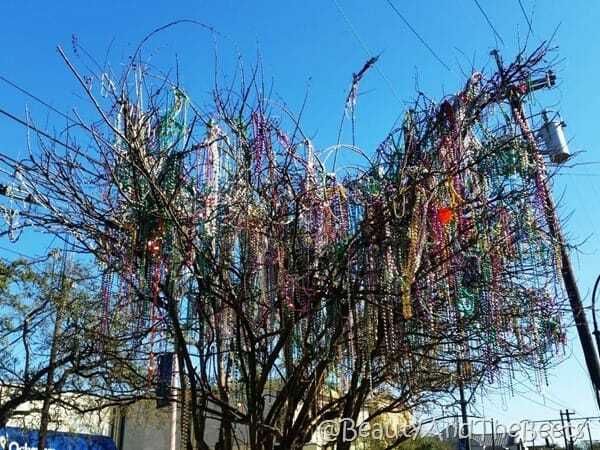 And there was evidence of the wild partying by the beaded trees and bead remnants still scattered all over the streets. We finished the race in City Park by the New Orleans Museum of Art. I have to say, I was soooo happy to finish. My bad foot (that’s what I call it now since my surgery in 2014) was sore, my legs were retired for the day, and my face was a bit sunburned. But I finished. And that is what is most important to me. And I could not find one single picture of me smiling while finishing the race. The picture above is the best one I could find. At least my tutu was still intact. The only part of the race that I was not a fan of was having to take a bus five miles back to the finish line. And then from there we still had a one mile trek back to our hotel in the French Quarter. However, by that time, the partying on Bourbon Street was well underway. 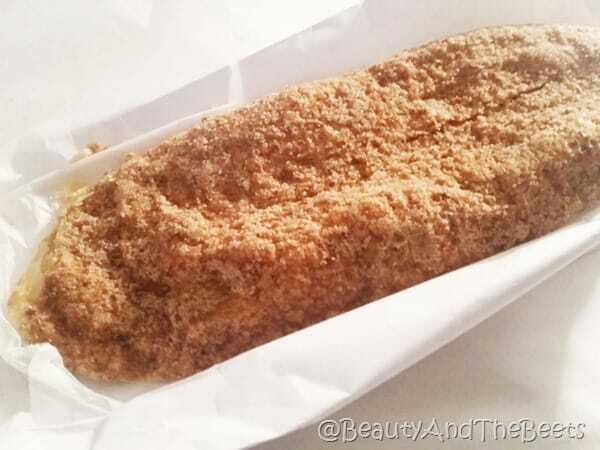 However, our hotel was very close to the French Market, a gathering of many vendors and I rewarded my race finish with a Praline Shoe Sole from Loretta’s Pralines. 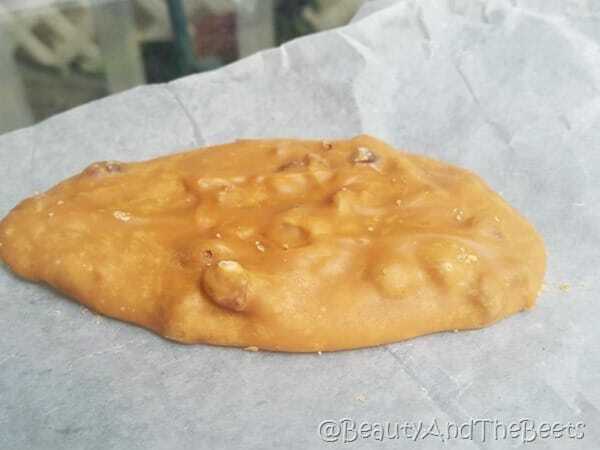 And I had an original Praline. Mr. Beet and I napped for a bit before we decided to end our marathon day with an Oyster Pizza from Louisiana Pizza Kitchen. 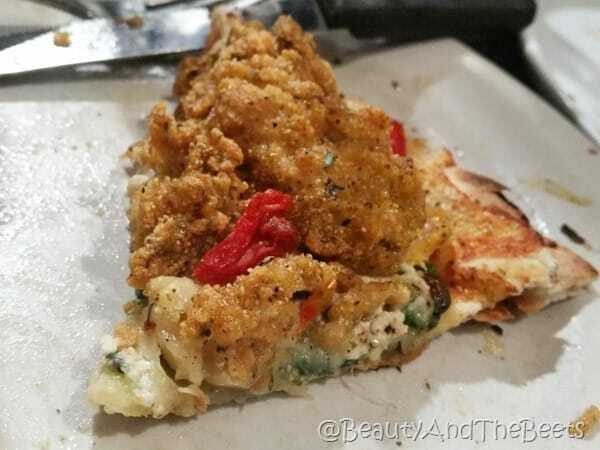 OK, he opted to avoid the oysters and had just basil and cheese on his half, but the fried oyster pizza was wonderful!! And we slept well that night. Luckily, we were not too sore the next day so we were able to get out into the city and explore a bit. But I will save those antics for another post later in the week. Beignets for all! So, who is ready to run a Rock’n’Roll race this year? You can use my code BEETSROCK2016 and save $15 off your entry fee for any of the remaining races of the year. Go here now and register!! For now, this offer is excluded on Chicago, San Antonio, Los Angeles, Las Vegas, Savannah and Querertaro currently (the codes will be available for these cities soon). However, that still leaves a ton of cities like Dallas, San Francisco, Seattle, San Diego, Brooklyn, Montreal, Vancouver, Madrid, Dublin and a bunch more! My next Rock’n’Roll race will be Raleigh followed by Nashville. Who is going to join me???? ?